Is it possible to see too many waterfalls? When we were backpacking in Brazil through the Chapada Diamantina, there were beautiful clear streams tumbling down the mountains. There were waterfalls everywhere. We had already seen the western hemisphere’s tallest free fall waterfall. We were lucky enough to be there when an updraft created a double rainbow for us. We’d already swam in the clear pools at the bottom, or top, of some. After a few days, we were just not motivated to go off the planned hike to see yet another waterfall. 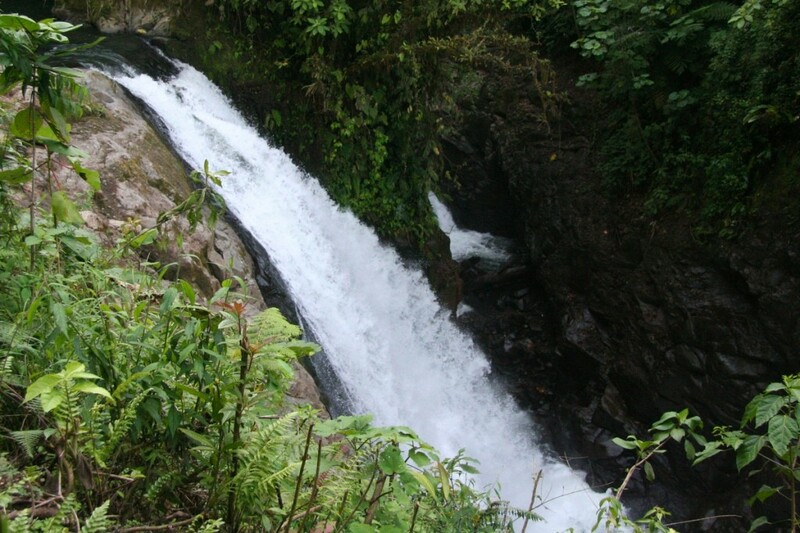 Nevertheless, when we were in Costa Rica, we went to La Paz Waterfalls. 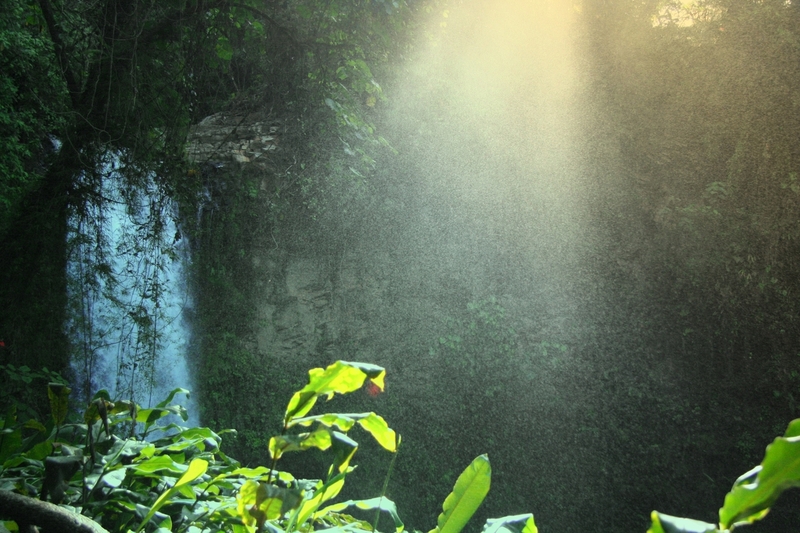 It was water tumbling down from volcanic mountains, shaded by lush growth allowing the filtered light to create shafts of mist. In another part of the downward stream, there was a side waterfalls like a mother and baby. Bored of waterfalls? I guess not. Each one is a unique child of nature. We’re all human and yet so different in culture and from each other. Diversity makes the world so interesting. 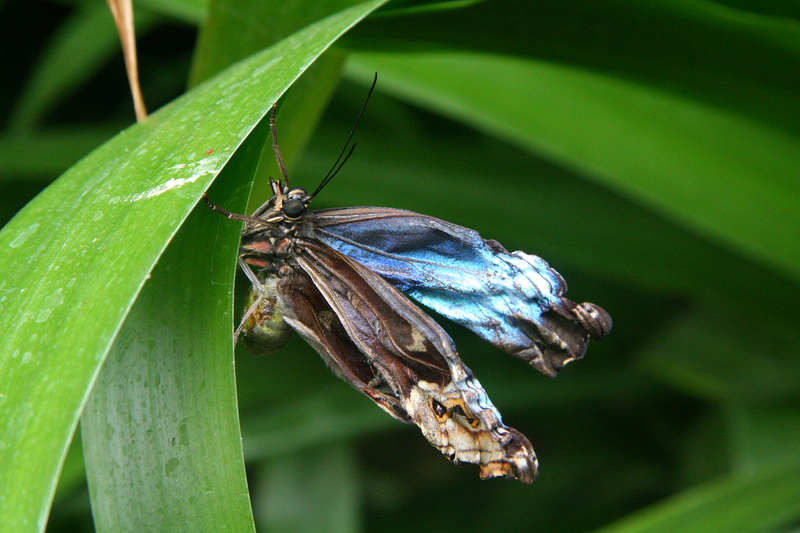 When we visited Manuel Antonio Park, we saw Blue Morpho butterflies for the first time. The back of their wings is a brilliant, luminescent blue that lights up like neon signs in the sun. 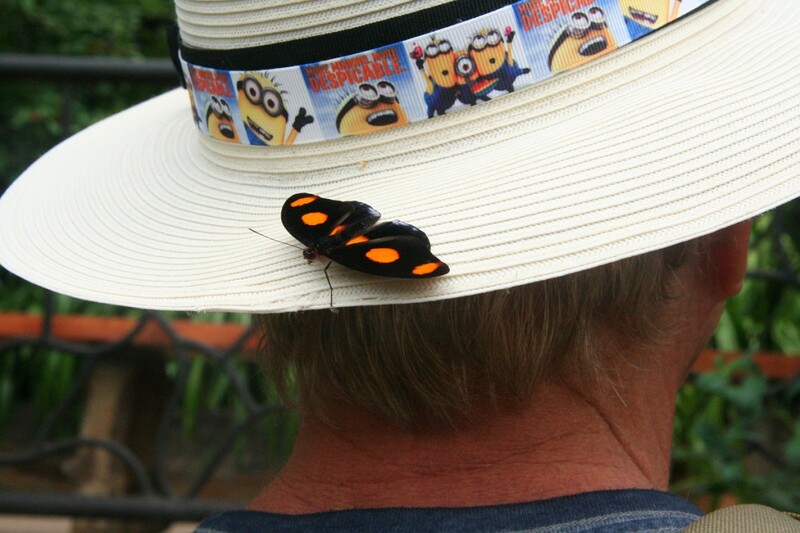 They must be the Las Vegas of butterflies. Of course, it was impossible to capture in a photo while they were moving. 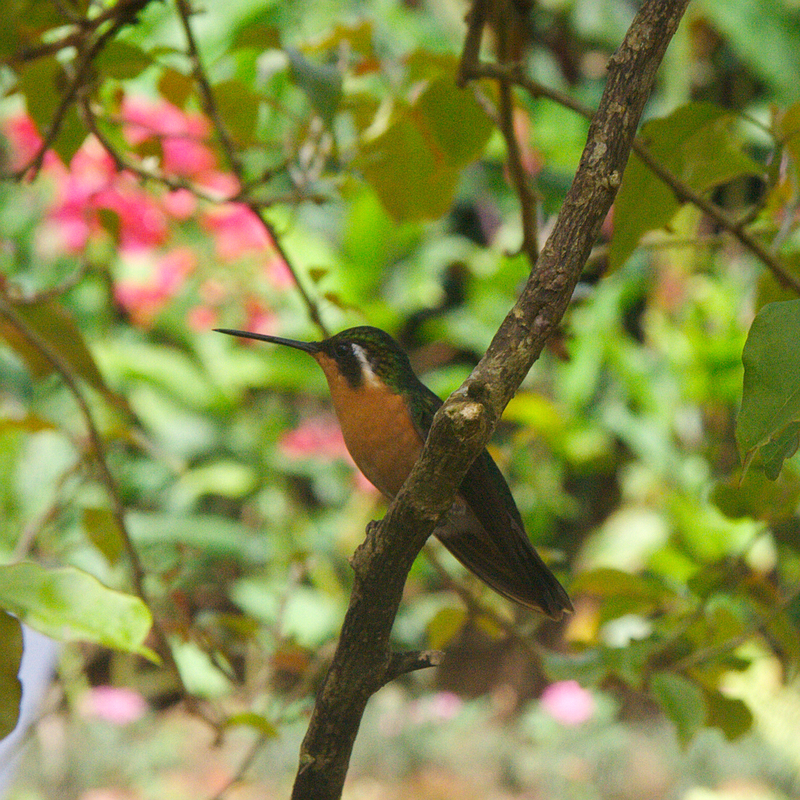 In San Jose, however, our lovely AirBnB host, Annabelle, took us to visit the La Paz Gardens and Waterfalls which has a butterfly garden. 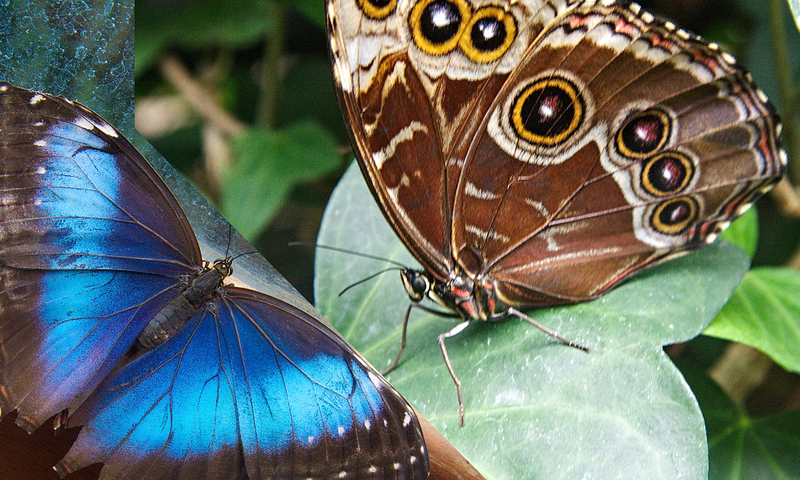 The Blue Morphos in captivity did not have quite the same brilliance, but they were lovely none the less. 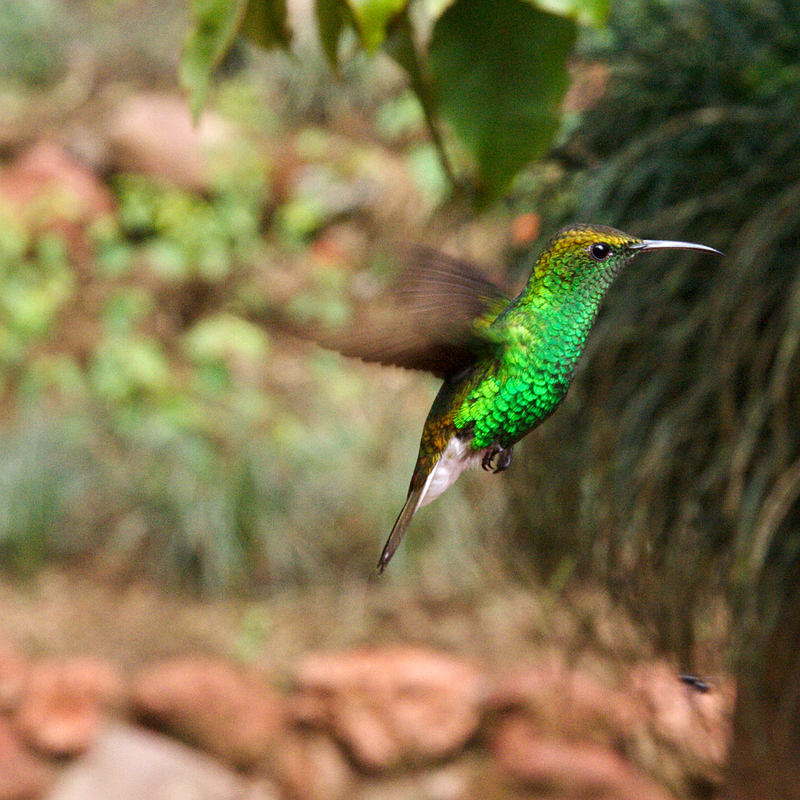 Also, in the garden, we were able to see the incredible markings on the underside of wings. 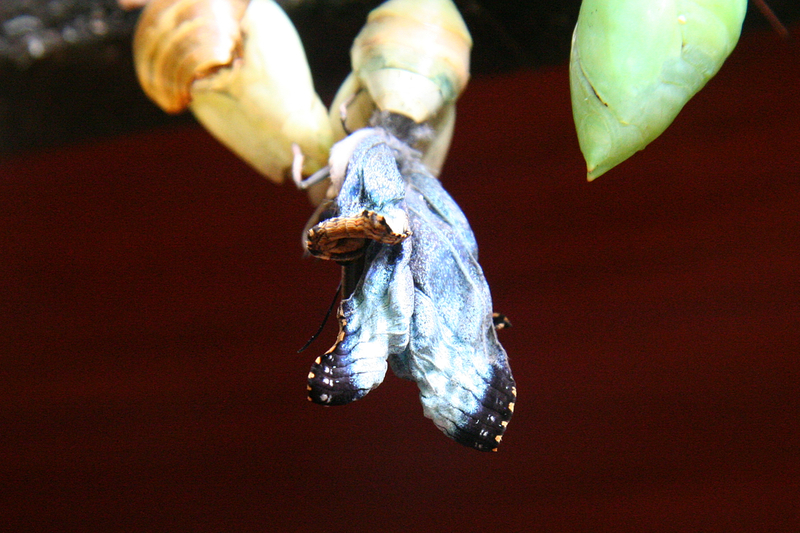 Amazingly, we also saw one emerge from his cacoon. Ack! Where are my minions?! 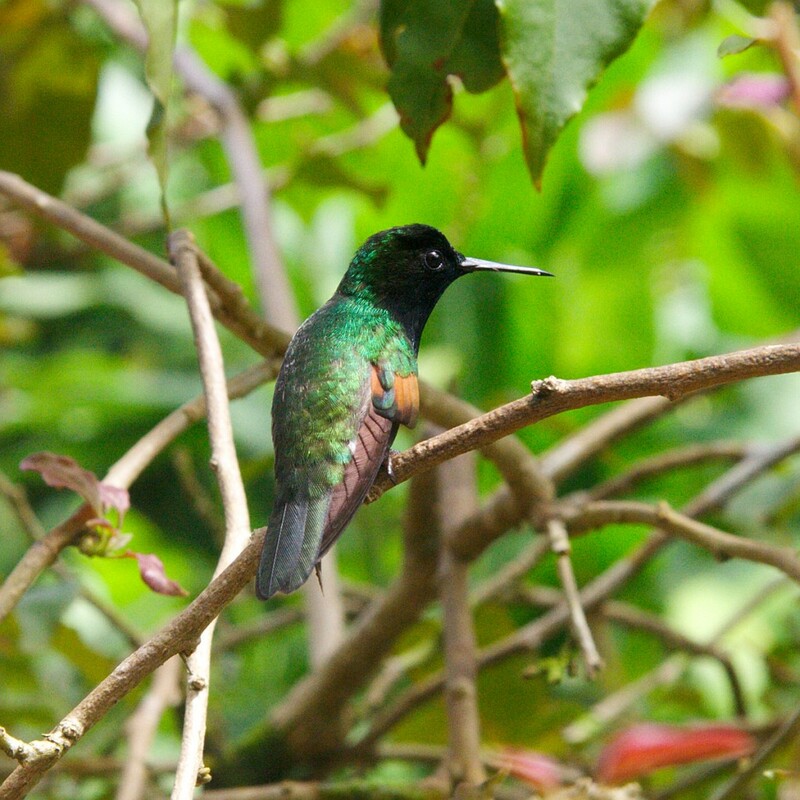 Do Hummingbirds Hum Because They Forgot the Words? 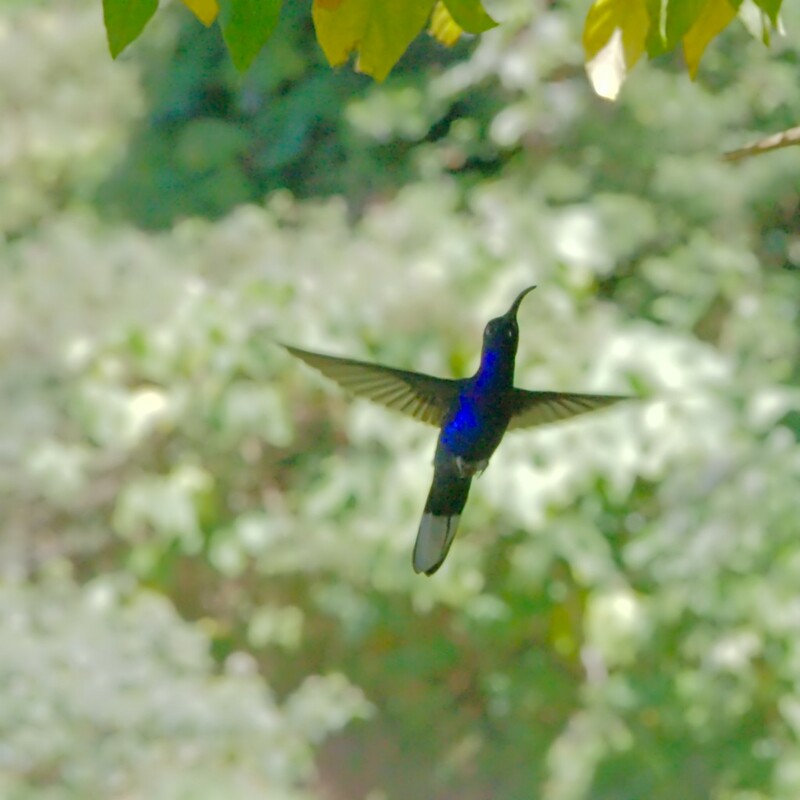 There was a large, very iridescent blue hummingbird that I’d never seen before. I tried to catch a good photo but she was shy and way too quick. I even tried explaining that the light was better on the other side of the tree. What do you expect. They have bird brains. It’s not the man in your life that counts. It’s the life in your man.